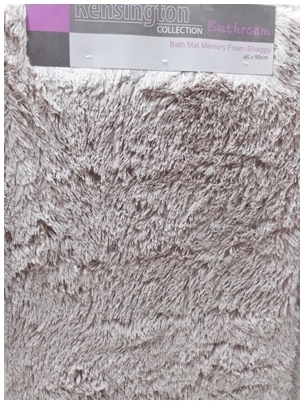 Bathroom mats and rugs are varied aesthetically, functionally and materially. Choosing the right one for the home is very much dependent on what purpose it is for and how it will be used. In addition to that, size, shape and color are also worth considering. Since the bathroom is a shared area with high-traffic in my house, I've decided to go with a simple cotton bath mat. The high-absorbent material quickly soaks up water drip after stepping out from the shower, hence, preventing the spread of water in the bathroom. While it is inexpensive, durable and efficient in absorbing water, the damp condition makes it an ideal breeding ground for bacteria. Having said that, it is easily washable and regular washing is a must. Drying the mat after every use will help to prevent bacteria growth. 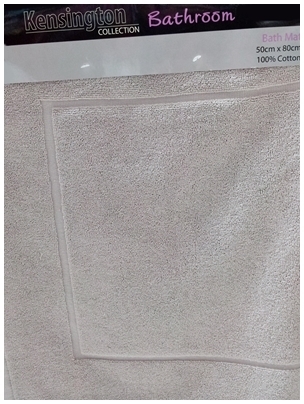 Pedestal mat is commonly placed at the dry area in the bathroom. It is shaped to fit the base of the toilet bowl nicely and usually comes with a matching bath mat to be placed under the basin where you stand on. It provides warmth and comfort to your feet. If you love stepping out of the shower onto a plushy and well-cushioned mat, then the Shaggy Memory Foam mat is probably something for you to consider. 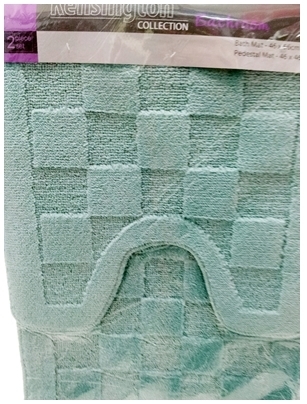 Like other bath mats, it has a slip-resistant base for safety grip on the floor. Some claimed to have ultra-absorbent and fast-drying material. Wet bathrooms are dangerous especially for children and elderly people who are more susceptible to fall. 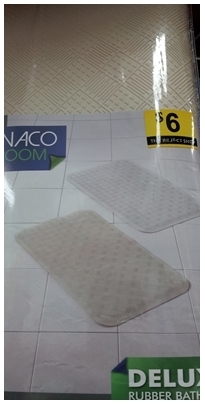 Non-slip rubber mat is excellent to prevent slip and fall in the bathtub and shower area. It can be used directly inside or outside of the shower. Bathroom is no doubt the most bacteria prone area in the house. 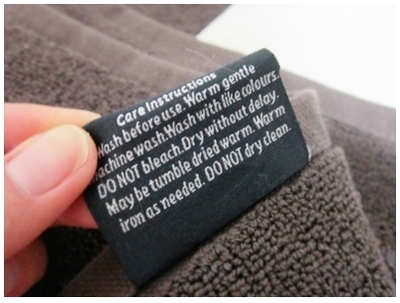 Irregardless of the bath mats you've chosen, it is important to clean and care for the mats by following the instructions on the label. Different materials may require specific care method. Make sure the mats are wash properly and clean regularly to prevent mildew, scum and dirt.